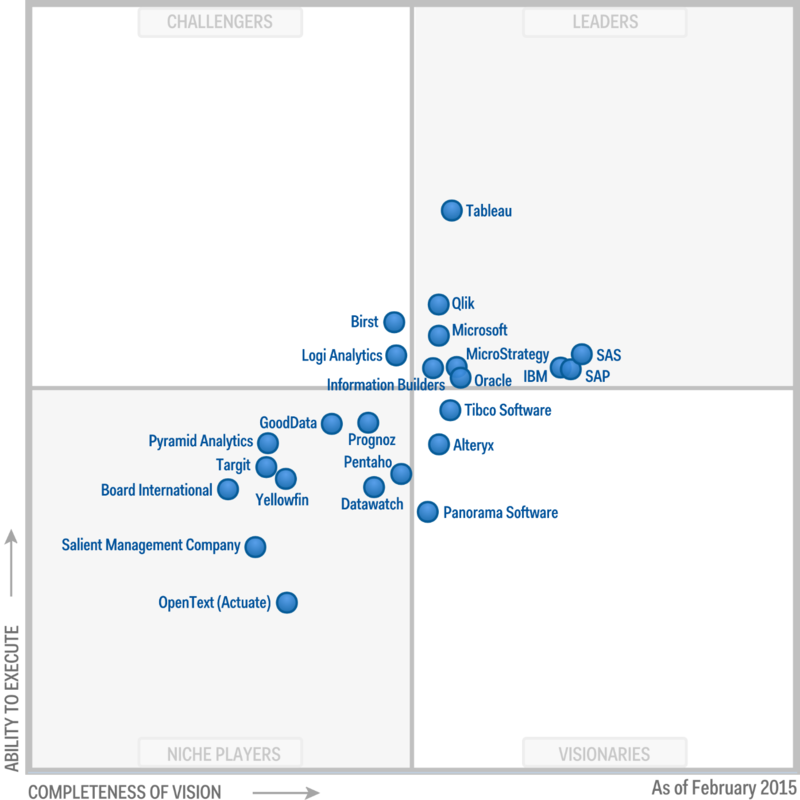 Trying to decide which Business Intelligence & Analytics platform to use? Take a look at the best candidates in 2015..
I’ve been a vocal advocate for the true benefits (“The Big Data Playbook”) as well as the hype (“OK Big Data is important. How do i get started?”) surrounding Big Data & BI in this blog. My experience clearly indicates that BI should become part of your tool-set, but as always you need to do your homework & plan your journey before embarking on it! The full report contains invaluable insights, including a profile of key characteristics per platform. Are you currently using any of the platforms in the quadrant? If so what is your experience? ← Augmented Reality returns to … its roots!